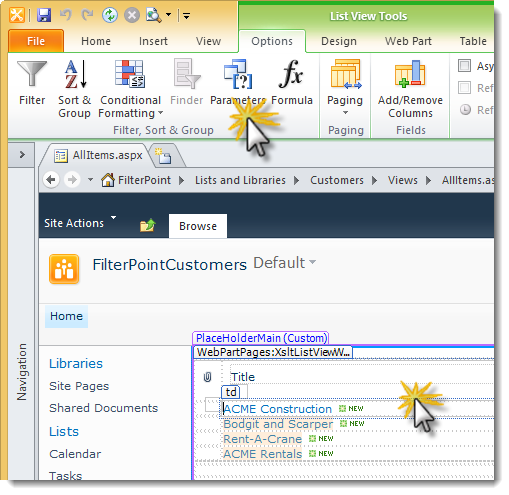 SharePoint Designer is especially useful for things like setting up complex filters and parameters for List View web parts like ‘wildcard’ searches and ‘before or after a date’ filters. 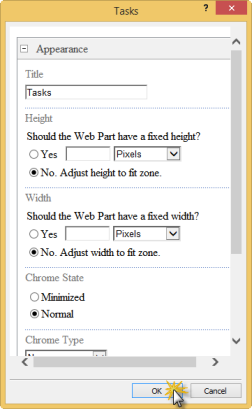 In SharePoint Designer 2013 (SPD 2013) the “Design View” was (controversially) removed so now it’s a little harder to use as you have to wade through some X/HTML soup. There is also a bit of a wicked bug that’s going to trip you up as well so in this post I am going to give a few tips on how get to the Parameters and Filters options in the ribbon menu. 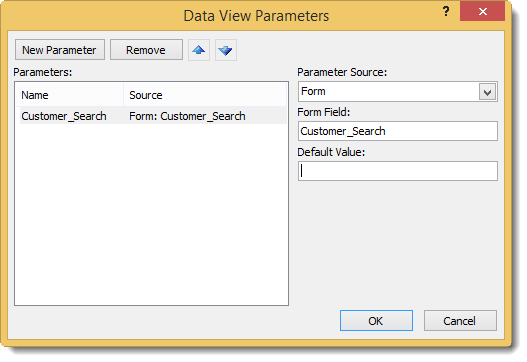 Note –this post is NOT a tutorial on how to use SharePoint Designer (its complex and worth a whole book in itself) but just a few tips for those already familiar with using SPD on how to do use the 2013 version. 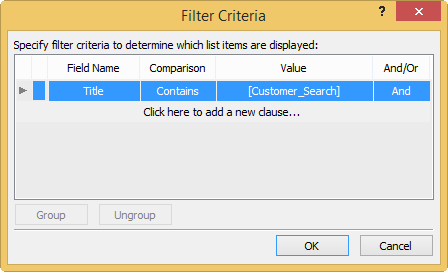 It won’t put back all you’ve lost, just allow you to access the Parameter & Filter options. 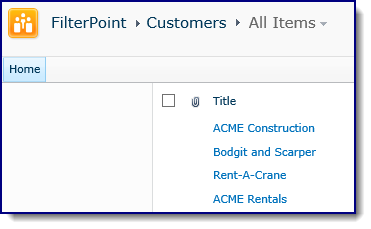 When you edit a page the most obvious difference in SPD 2013 is that you don’t get a Design View (the WYSIWYG view that allows you to see how the page will look whilst editing it). 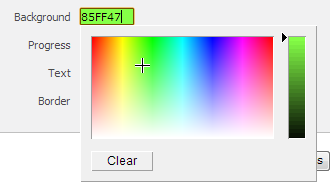 Instead you’ve only got the code view and you’re going to have to work through some angle bracket gibberish! 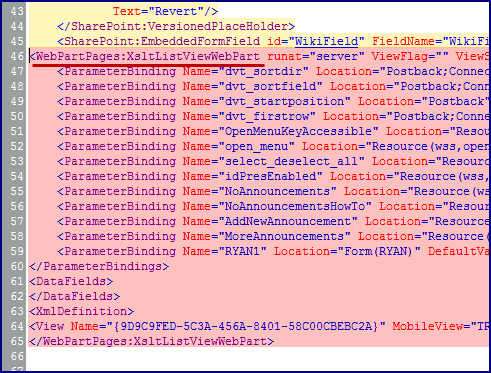 You’re looking for the code that defines the list view – it starts with <WebPartPages:XsltListViewWebPart and ends with </WebPartPages:XsltListViewWebPart> (pink in the pic here). But save your eyes! 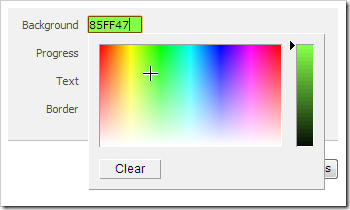 Just search (CTRL+F) for XsltListViewWebPart! If the cursor is between the two XsltListViewWebPart tags then this is the same as clicking on the List in the old Design / Split view. 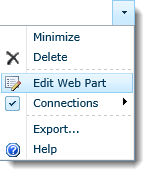 After putting the text cursor (or clicking) in the code that makes up the List View web part the ribbon should show the List View Tools option. Except… there is a wicked bug in SPD 2013 at the time of writing that means the Ribbon doesn’t update to show the Options menu (unless you’ve turned off Server Rendering). 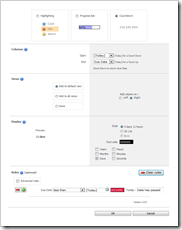 SharePoint TeamTime version 2 has just been released! 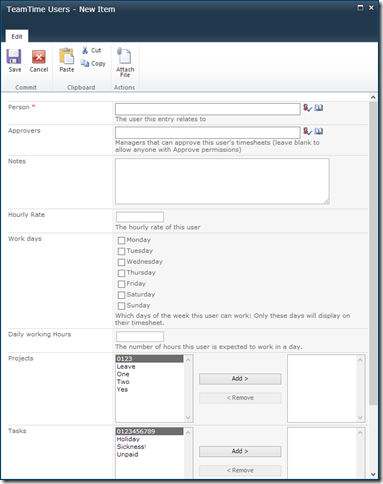 Time tracking in SharePoint is now a faster, cleaner, and more customizable experience. We’ve worked with our designers to produce a simple clean interface to keep the focus on what matters: Tracking and reporting on your teams’ time. Old data slowing your site down? Archive it away to improve performance. Don’t worry, you can still view the archive’s Reports and Analysis, as well as pulling it into an Overview site. Different people work on different projects, have different working days or hours, and different approvers. 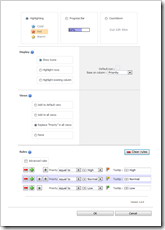 Now you can configure all these settings and more on a per-user basis. Change the week start: Don’t start work on a Monday? Now your site can match your working week. 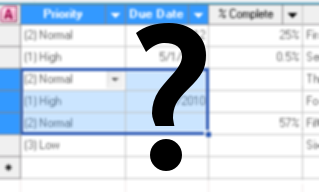 Hide custom columns: Don’t want to see a custom column in a certain site? Now you can hide it. If you’re already using TeamTime version 1 and have Premium Support, then upgrading is simply a matter of installing the new version and sending us your new Installation Code (as well as your old License Key). Similarly, if you have purchased TeamTime version 1 in the past 90 days, then we’re happy to upgrade you free of charge. 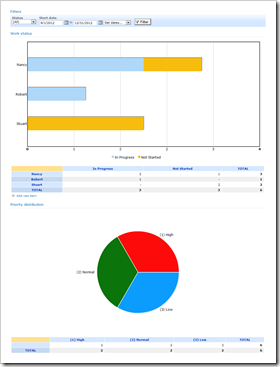 This new version adds options for manually controlling the scale and layout of the axis in charts. You can now manually specify these settings, in this example the axis is set from 0 to 10 with 10 division lines giving divisions at every exactly 1 intervals for a much better looking chart. 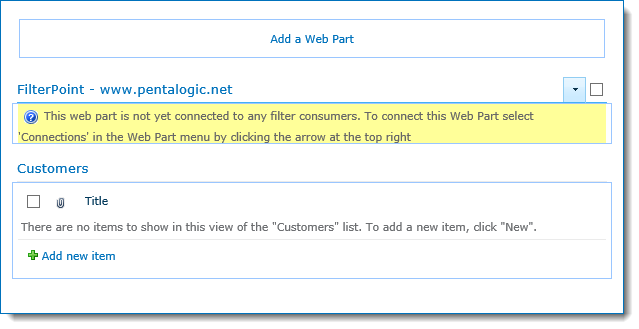 Here’s how you can turn SharePoint’s built-in Task list into a powerful task tracking tool, using Pentalogic products. 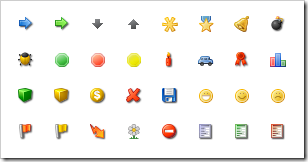 These are just examples to get you started – we’re only scratching the surface here of what’s possible with our range of flexible SharePoint web parts. 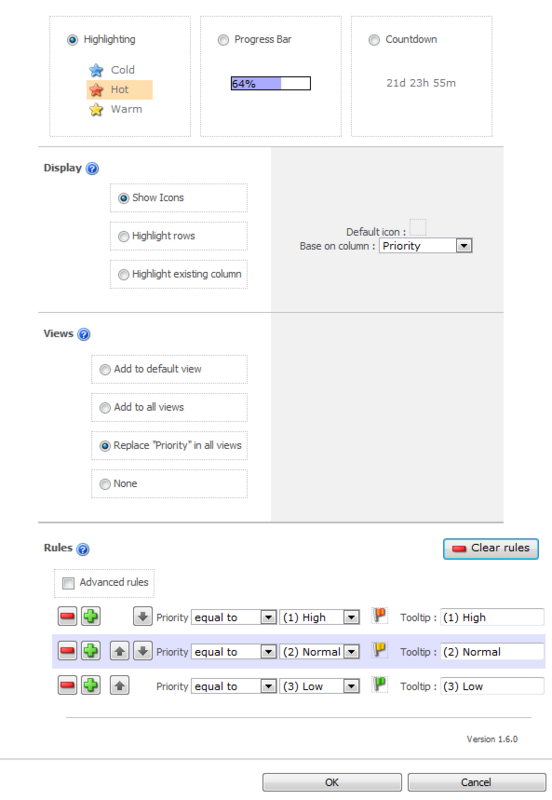 Each section has step-by-step instructions and a screenshot of the configuration to compare against. To make the high-priority and upcoming tasks really stand out, we’re going to add a couple of highlighter columns. 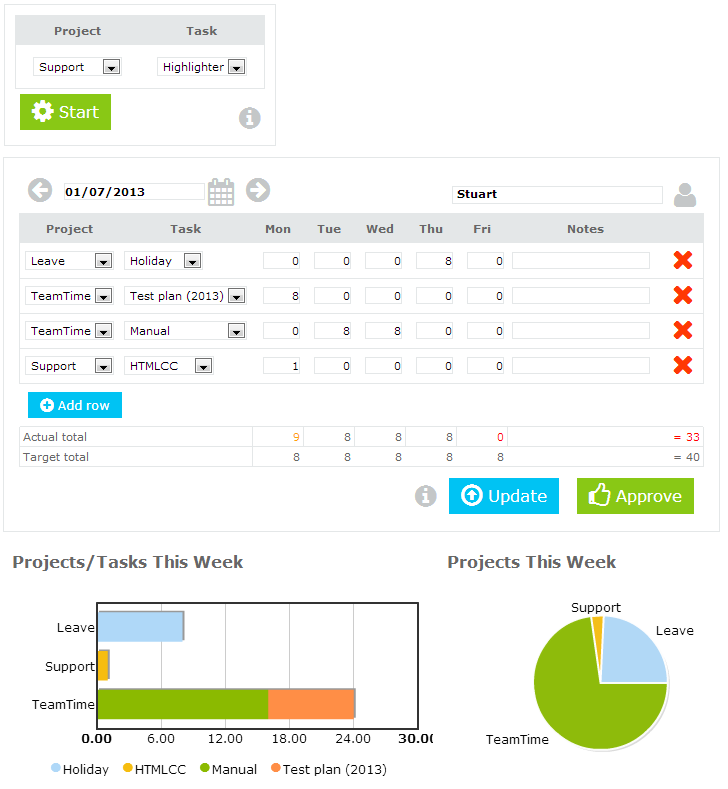 Here’s what you will see on the All Tasks view – coloured flags to show priority, a column showing how long we’ve got left to complete items and a red highlight for things that are overdue. On your site’s home page we’re going to add an at-a-glance overview of your tasks: A view of the task list (highlighted, if you did the previous section) and a task calendar. 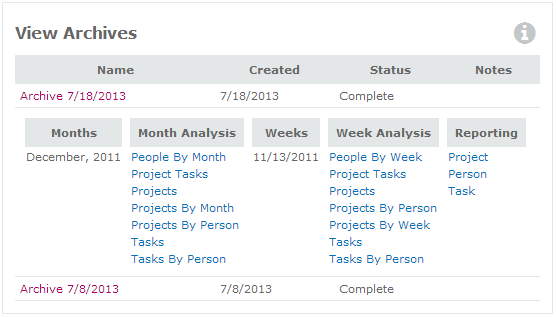 Now we’re going to create an Analysis page to produce some graphs and reporting data from your task list. 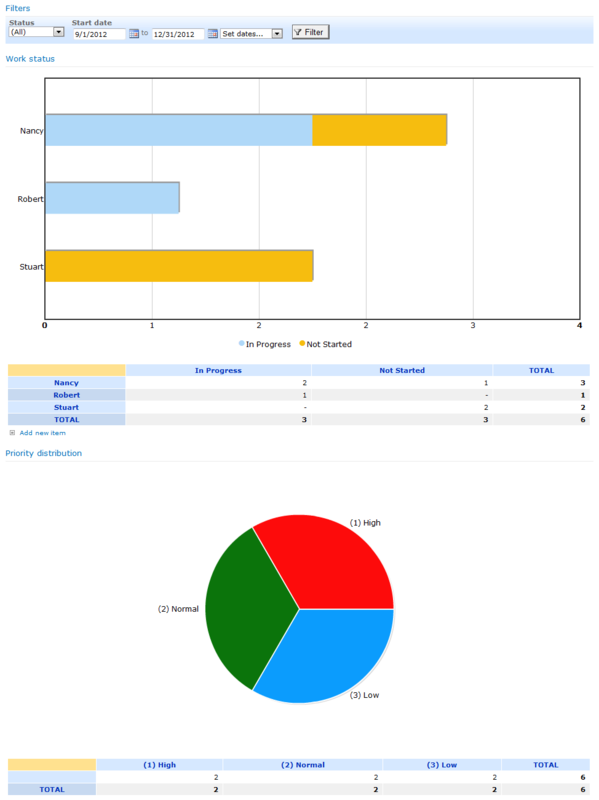 You will have an Analysis page that looks like this – showing charts for each persons workload. 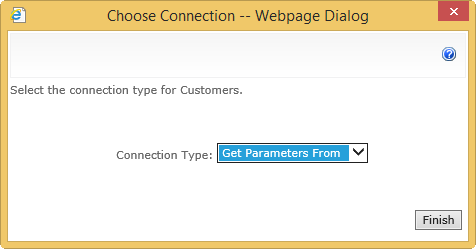 You can display the page on the Quick Launch menu via Site Actions -> Site Settings and selecting the Quick Launch option under Look and Feel. You can also setup email alerts to remind you when tasks are due in a few days. Your mundane Tasks list is now an all-singing all-dancing Task Master!